Please note: I’m sorry that I’m late with this post. I was on vacation for a few days and the internet was so patchy in our hotel it was difficult to get anything done on computer. In this chapter, we see a picture of Ruth humbly submitting to Boaz. Laying down at his feet like a servant before her master, she was ready and willing to be his wife. Those two words “ready” and “willing” are vital. Not merely to the story of Ruth and Boaz, but rather the bigger picture that this story portrays. Are we ready to meet our Master? Are we willing to humbly submit to His will? Take note of verse six, “So she went down to the threshing floor and did everything her mother-in-law told her to do.” (NIV) What we see here is a parallel to salvation—Naomi typifying the work of the Holy Spirit in a believer’s life. 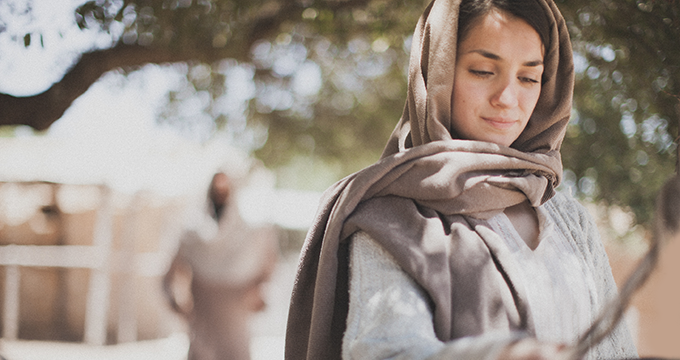 Naomi tells Ruth to humbly submit to her kinsman redeemer. The Bible tells us that the husband is the head of the wife and that the wife should submit to his authority. With that in mind, we should remember that submission is a choice that we make. It’s not something that is or should be imposed on us. It’s a choice we make out of obedience to God because ultimately EVERYTHING we do should have a focus on Him and His will. There’s a reason we do it, and that reason is to bring glory to God. What does submission look like in the life of a believer? Kneeling in prayer? Giving all that we have to the poor? Stepping back so others can shine? Although any one of these things could be the result of submission, it’s not submission itself. Submission is trading our own will for His. It’s a crucified life that’s willing to obey when the going gets tough. It’s courageous faith when we’re afraid to step out. Ask yourself if you’re living a crucified life. Do you follow God’s plan or stick to your own? Do you make an effort to put down your flesh to walk in the Spirit? Are you patient and kind, gentle and meek? Are you loving and good, joyful and evenly tempered? Or could it be that you’re still holding on to some of these things? The fact is that we all struggle with these every day. And so it’s important to be in the Word, to listen to God’s Word, and to obey His Word if we hope to stand strong. Have You Ordered Your Planner Yet? 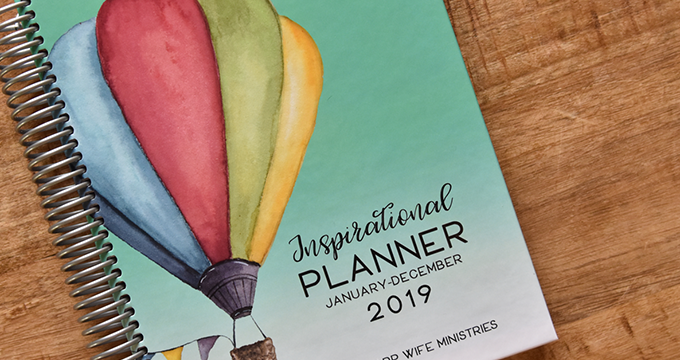 Beauty and organization make The Inspirational Planner a book every Christian woman must have! Are you going to post the answers to the study questions at the end of the Ruth Study?